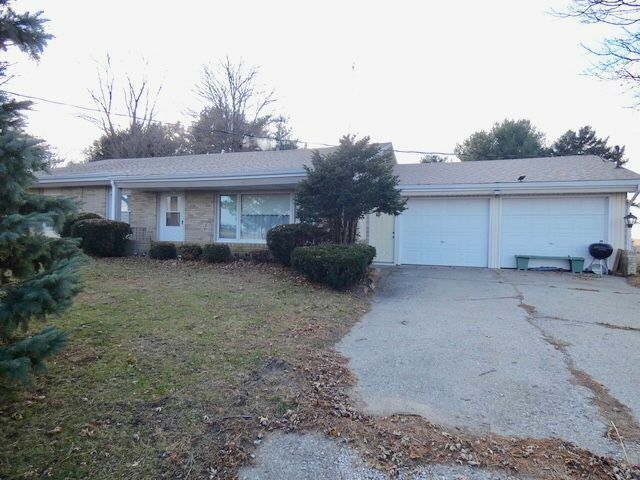 Beautiful mostly brick ranch style home in a rural subdivision in the suburbs of Watseka with 3 bedrooms, 1.1 bath, 2.5 car attached garage. Country living at its best! This home is very cared for, with many nice features, gorgeous newer sunroom addition, newer windows, new roof 2 years old, 3 bedrooms with walk in closets, master bedroom with 1/2 bath, huge living room with picture window, fantastic open eat in kitchen, all appliances staying, dining room, watch the sunset from the beautiful oversize back yard that backs to the empty fields, come see us today, perfect home!